Adirondack Vacation Guide: Major Snow! Whiteface opens Summit! Major Snow! 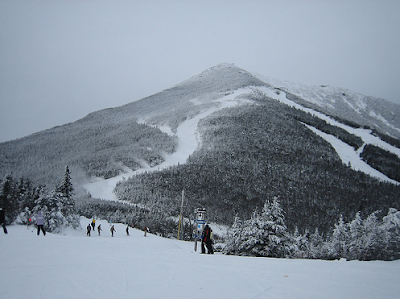 Whiteface opens Summit! This weekend we dealt with the major storm that brought varying forms of precipitation to the entire Northeast. The storm dropped around 18 inches in town with 21" falling on the slopes of Whiteface. This has led to the opening of Summit trails Paron's and The Follies served by the old Lift 6, now known as the Summit Quad. These trails are blue squares and can make for a nice long run from top to bottom, with both trails emptying out onto the popular Excelsior trail. The glades are also open at Whiteface, and they are in impressive condition, with up to 4 ft of snow base in some spots. 65 trails are open! 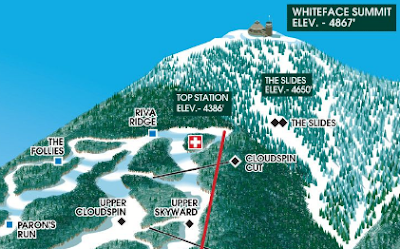 The skiing/riding is ridiculously good, and Skyward (the steep black diamond summit trail that served as the start of the Women's Downhill in the '80 Winter Games) will be opening this weekend. Also of note, all 31 miles of the cross-country ski trails at the Olympic Sports Complex at Mt. Van Hoevenberg are now open as well. This holiday season in the Adirondacks is shaping up to be one of the most beautiful and active yet! Don't miss out - come check it out!